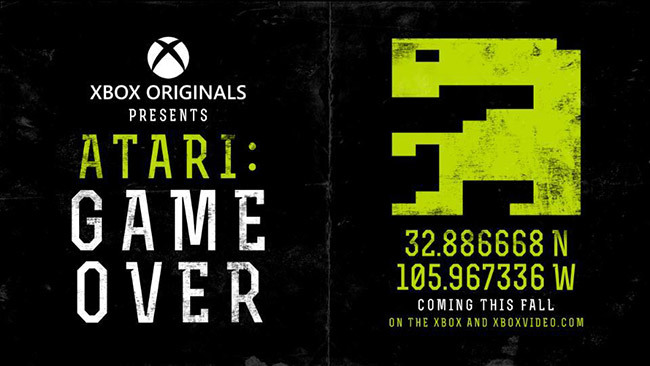 We worked with Content Media to manage PR and social media for the digital release of Atari: Game Over in North America and the UK. The nostalgic documentary by Zak Penn is about one of the most popular legends in gaming history known as “The Great Video Game Burial of 1983”. Atari: Game Over is about the hunt to find 3.5 million unsold copies of “E.T. The Extra-Terrestrial” video game, fabled to have been the cause of Atari’s downfall in 1983. As the story goes, the Atari Corporation, faced with an overwhelming negative response to the E.T. Video Game, disposed millions of unsold game cartridges by burying them in the small town of Alamogordo, New Mexico. For decades, the myth of Atari and these “E.T.” cartridges was whispered about among game fans everywhere. Zak Penn and his crew dig up all of the old Atari 2600 game cartridges of “E.T. the Extra-Terrestrial” that were tossed into a landfill. We managed reviews, interviews, features, social media, strategy and digital content, securing quality North American and British press coverage with media outlets including LA Times, The Guardian, Vice.com, Yahoo, Mashable, The Huffington Post, Mail Online, The Daily Beast, The AV Club, IGN, Den of Geek, Geek.com, Slash Film, Polygon, Dazed Digital, Candid Magazine, Engadget, The Mary Sue, Nerdist, PC World, PopSugar, The Dissolve, Digital Spy, and much more.